I did just pick this book up, and thought I would have a go. Not expecting much, I read the first chapter and I was glued to the pages! 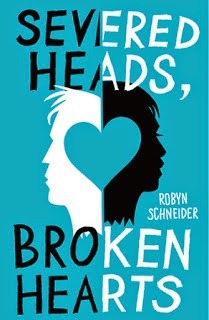 One of the reasons I picked up the book, was the review on the front, saying this book would appeal to John Green readers. They were totally right. This is the sort of book I love to get my teeth into. I can't give anything else away, as this is such a brilliant book! I love how Robyn Schneider carefully weaves the plot, how it all ties in together. I also love her eccentric writing, I love how she writes to pull the reader in. She defiantly pulled me in! I especially like mysterious characters, (who have something to hide), like Cassidy. I also like Ezra's characteristics; and the change in them before and after the accident. There are quite a few cliff hangers in this book, and a few gasping moments too! I read this on holiday, in three sittings, and adored it! I cannot describe to you how lovely it was: sitting on the beach, listening to the waves and reading this book! I rate it 5/5 hoots!